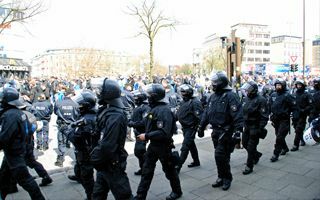 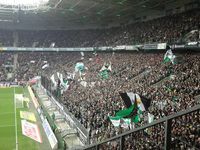 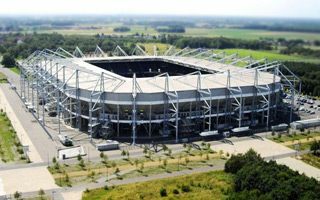 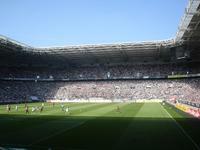 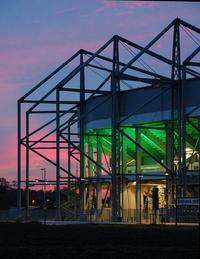 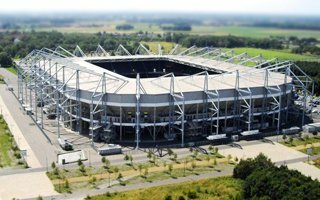 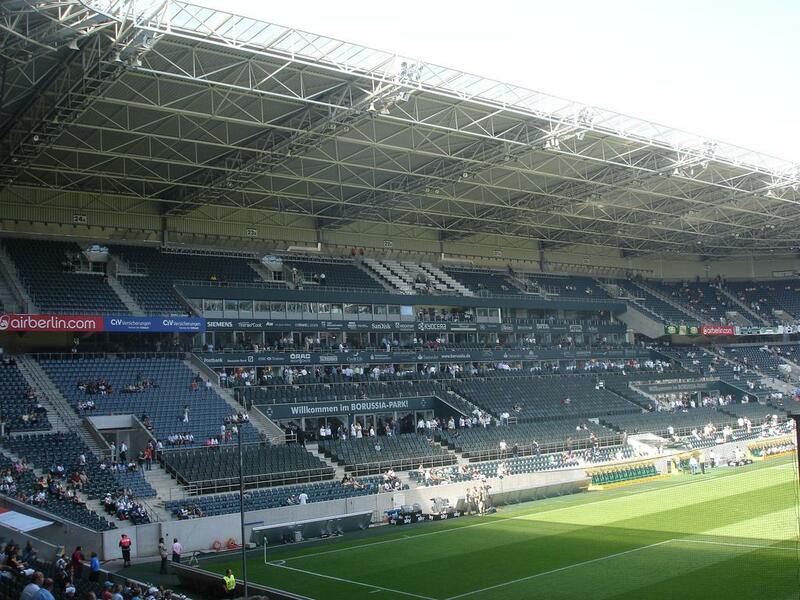 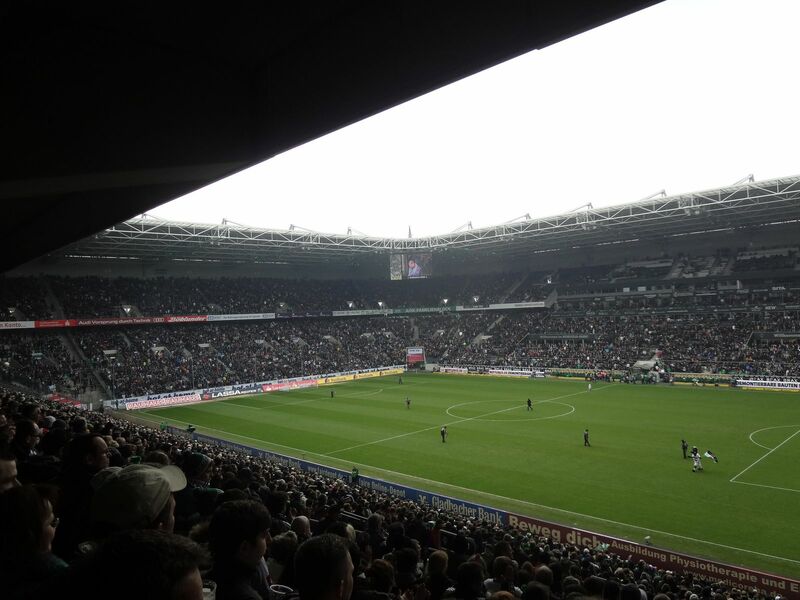 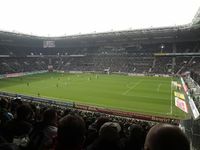 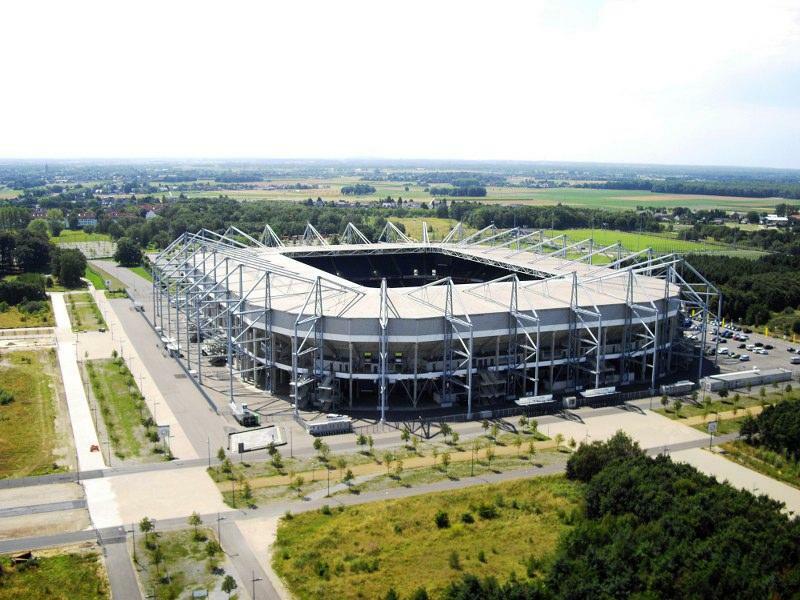 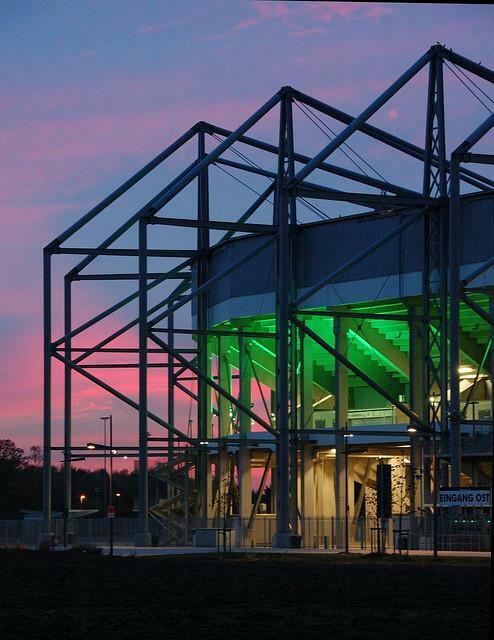 Construction of a new stadium in western suburbs of Mönchengladbach was approved in March 2002 and by November general contractors settled on site and began works. 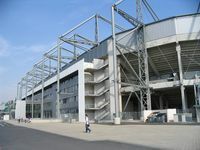 With little preparations needed on the site of previous British army barracks, it took only 1.5 years to deliver this prefab-based giant. 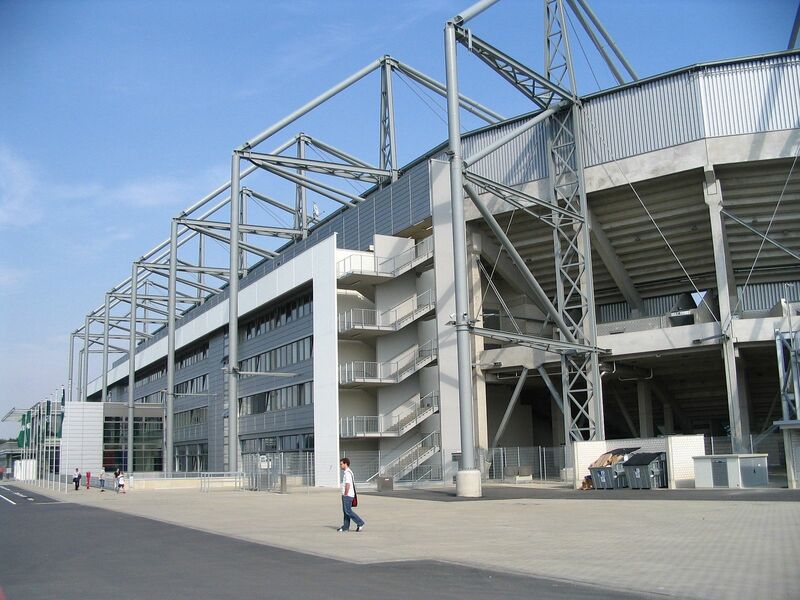 The design of Planungsgruppe B is a very simple one, resembling some British stadia with its cantilever roof and overall layout. 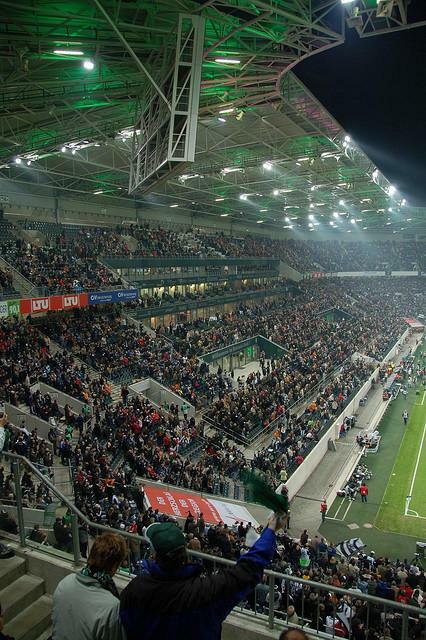 Contrary to some other venues, this doesn’t accommodate various functions underneath the stands, there’s some 18,500 sqm of space used mostly for club- and fan-associated infrastructure. 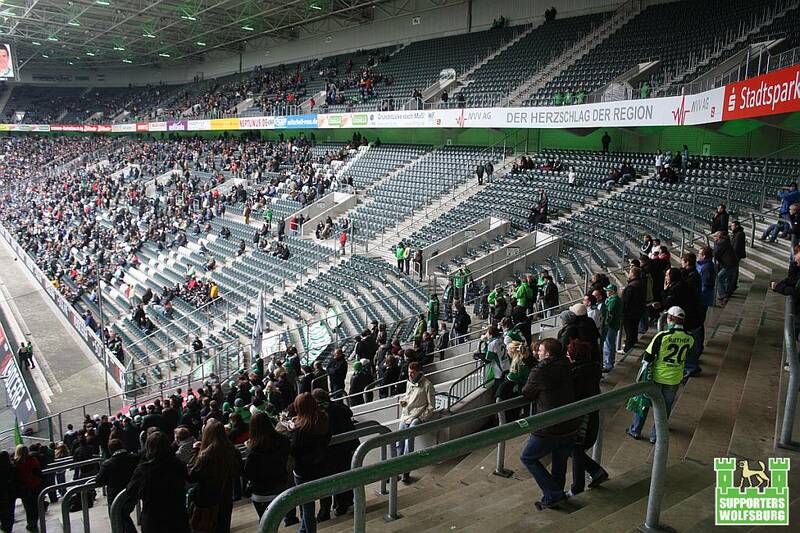 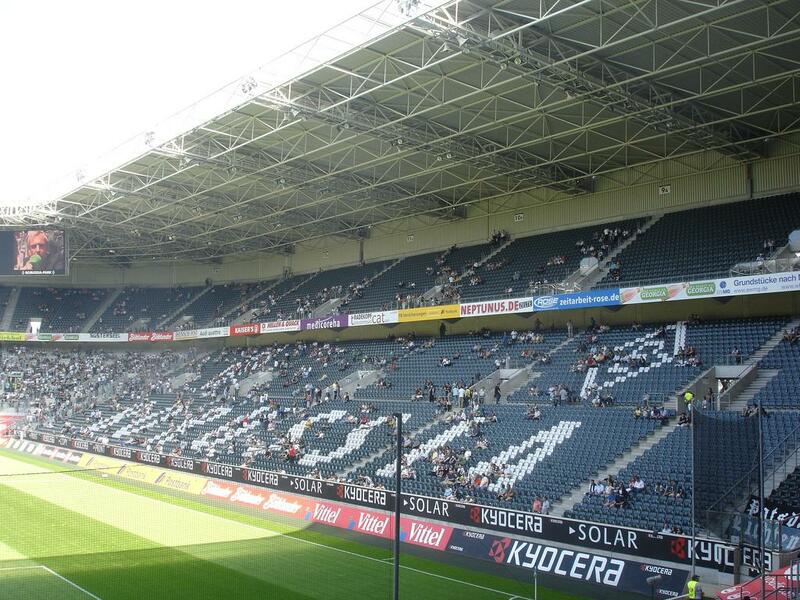 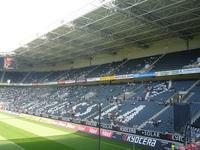 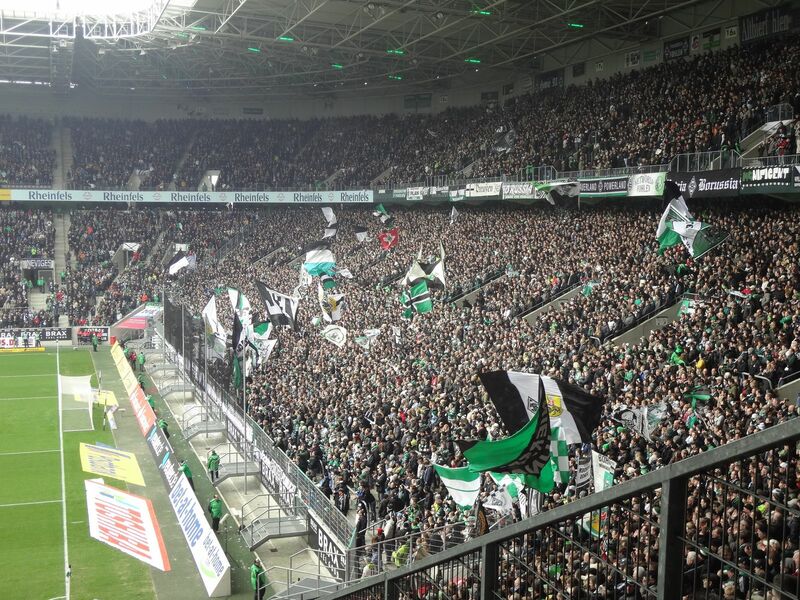 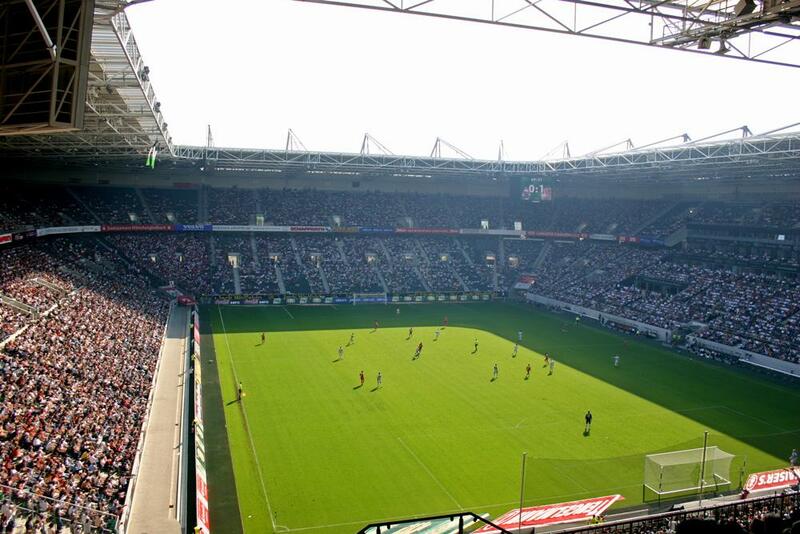 Everyday Bundesliga capacity is over 54,000 spectators with almost 19,000 standing (most in the northern fanblock). 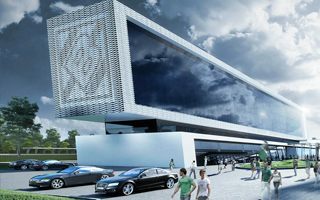 However, the stadium has been approved for up to 60,000 people, should the club decide to convert southern stand into terracing as well. No matter the domestic capacity, though, international size stands steadily at 46,000 since day one. 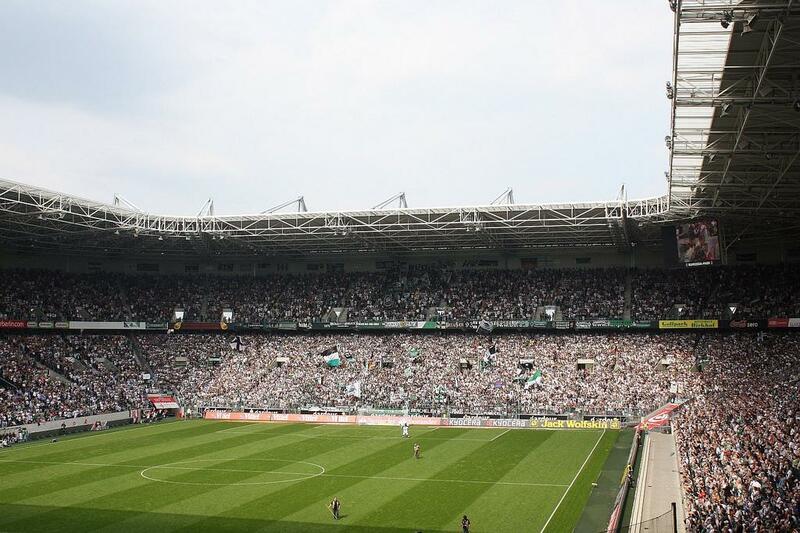 And there have been some occasions to use it as stadium owner Borussia (who paid almost €90 million to have a new home) played in European competitions on some occasions. 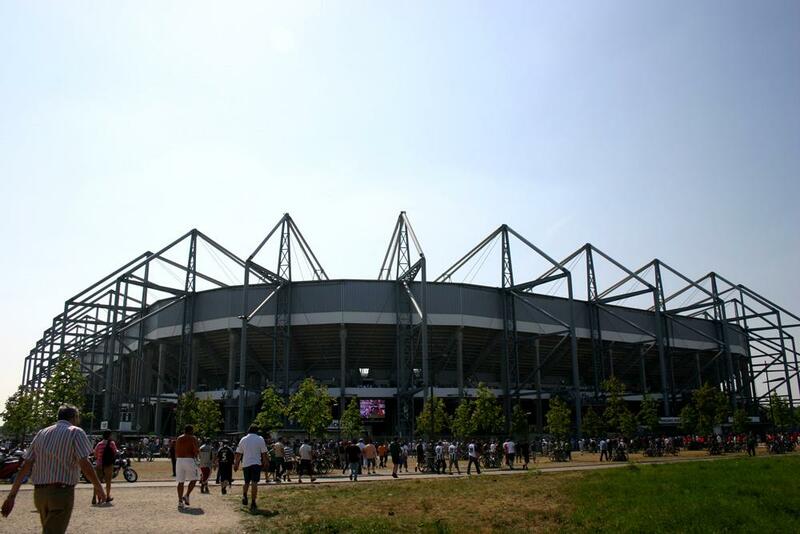 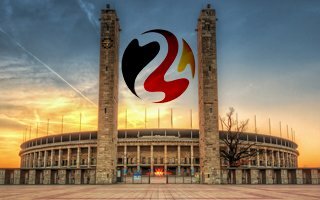 And despite not being selected for the 2006 World Cup (with Dortmund, Gelsenkirchen and Cologne nearby it couldn’t), the stadium was one of the main arenas for the 2011 Women’s World Cup. 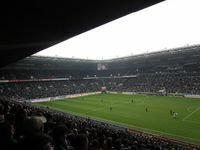 During summer breaks occasional concerts take place as well, with the likes of Bruce Springsteen or Elton John performing. 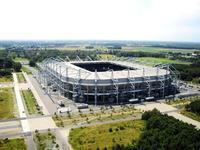 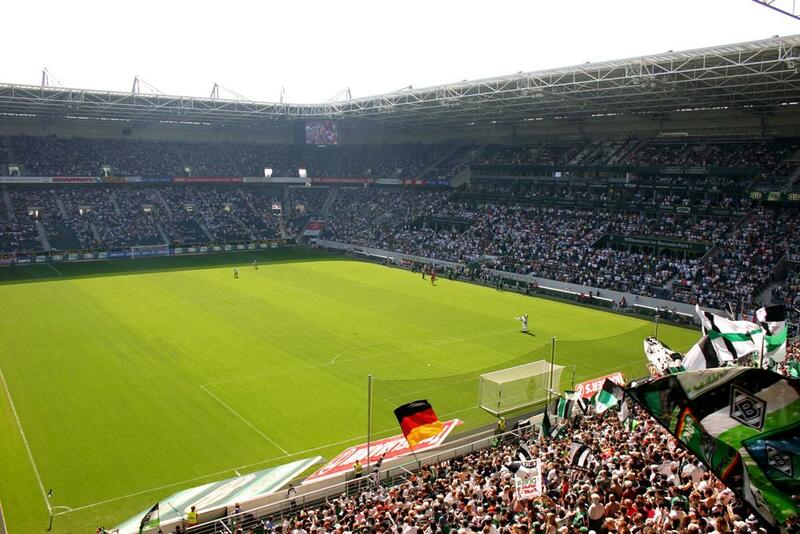 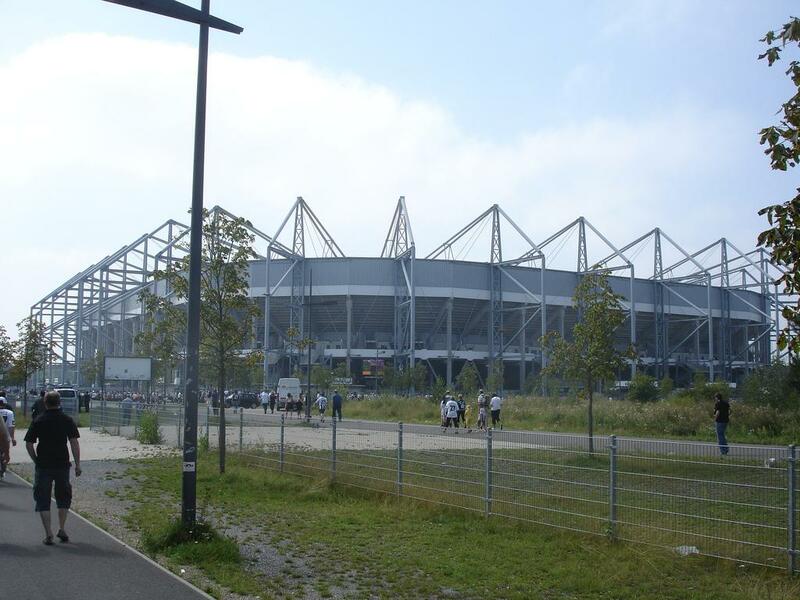 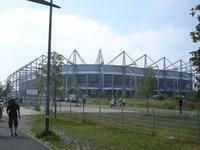 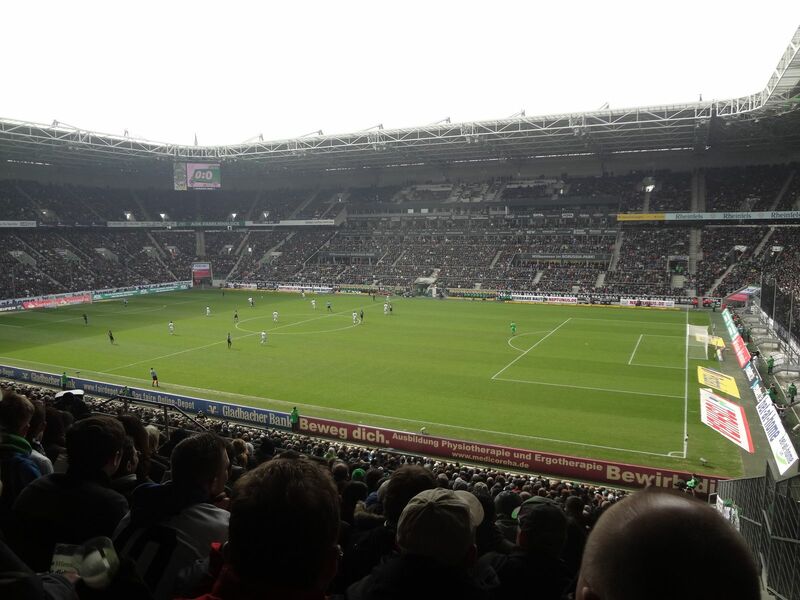 Within the next two years we may see a significant change around Borussia Park. 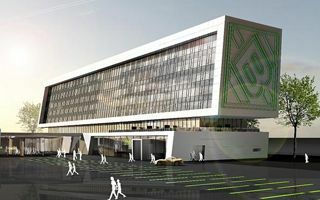 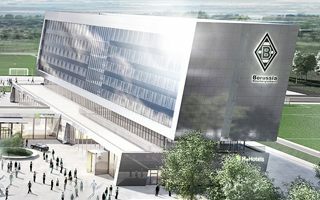 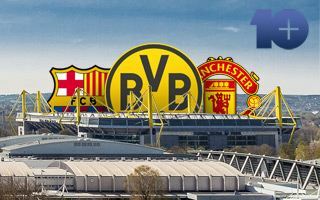 Borussia are about to spend €28 on new a hotel, which will bring the number of events up from 450 to 750 annually.